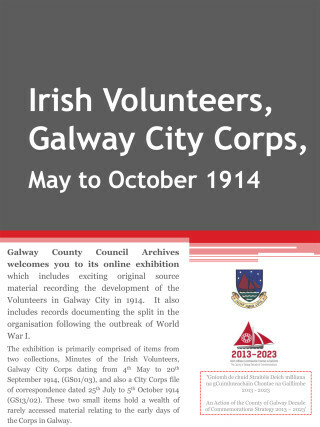 Galway County Council Archives welcomes you to its online exhibition which includes exciting original source material recording the development of the Volunteers in Galway City in 1914. It also includes records documenting the split in the organisation following the outbreak of World War I. 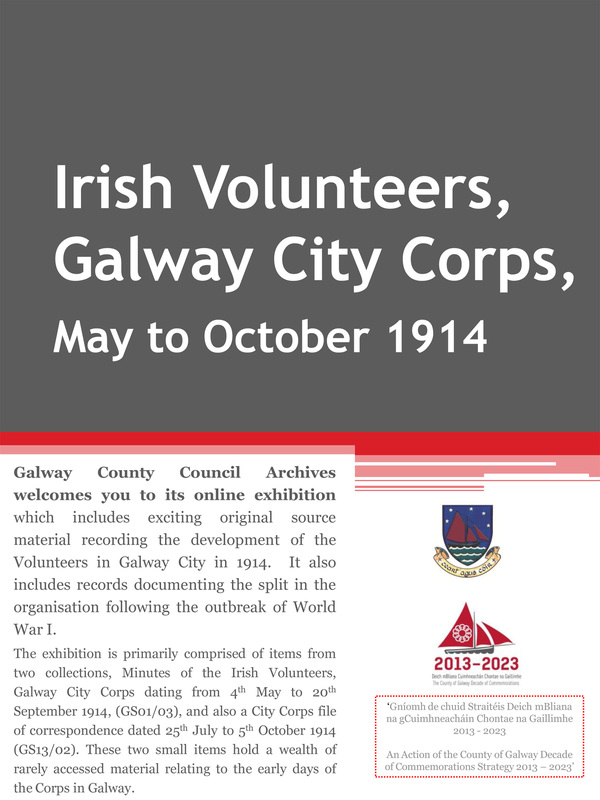 The exhibition is primarily comprised of items from two collections, Minutes of the Irish Volunteers, Galway City Corps dating from 4th May to 20th September 1914, (GS01/03), and also a City Corps file of correspondence dated 25th July to 5th October 1914 (GS13/02). These two small items hold a wealth of rarely accessed material relating to the early days of the Corps in Galway.